When I saw the price for the V-Wing I immediately thought it must be bigger or have more figures. Perhaps it'll go like the TRI-Fighter, the original £6 and the new version £25 with two more figres and a larger nicer looking ship. Hopefully the pilot might be a black deco version of the one from Palpie's Shuttle instead of white. The Bounty Hunter gunship may also be a set from TFUII, we know that Boba is in it, so maybe other Bounty Hunters are too? Gotta love what TLG has planned for 2011..
perhaps they could do a droid fighter of some kind??? I hope we get some main characters. Army builders are nice and all but its been so long since we got a Padme figure and the others can do with an upgrade to fit in with the new style OT figs. I cant imagine why the V-wing would be a TFU2 set, i thought the v wings were used by the rebels, either way, unless starkiller uses it to escape Kamino, tie fighters i could understand as he fight them on Kamino, but V-wing?. Neither can I see Boba even as a kid in a bounty hunter ship as they gave us Boba in the slave 1, its more likely Sugi's ship, which is best one, especially if it has Embo. The more prominant and well known V-wing was used by the republic, late in the clone wars, which then became the Empire after order 66. TFU2 is set in early Imperial times which is why people think that it would be a TFU2 set (which is a very good idea so whoever came up with it... nice one ) The V-wing used by the rebels has not appeared as much and is only used by the rebels so this set is pretty clearly referring to the Alpha-3 Nimbus-class model. I believe the Rebels used A-Wing, B-Wing and X-Wing fighters and the Empire originally the V-Wings, then using the TIE engine from that in the new TIE Fighters. 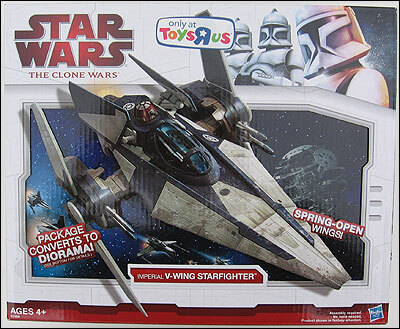 It's about time the V-Wing got a re-release. Personally, I can see Battle for Naboo being a Flash/Gian Speeder, the Jedi, Padme and a couple of battledroids, with a front of building. Just... more fleshed out than my description, ahaha. And they got it from the same place as us. Check the first post! Embo would make a nice new bounty hunter MF, if the bounty hunter ship is based on that episode. But considering these new bounty hunters (Sugi's band) are relatively less popular than Bane's gang, I would assume this bounty hunter gunship will be based on Bane's bounty hunter crew and we could have the more anticipated Aurra Sing fig, which is better than an Embo fig, IMO. I found something on Wookiepedia which I now believe might be the ship in the Mandalorian battlepack. Here it is. Not to mention it was also in the Death Watch episode itself. Oh yeah, which BP's "USED TO BE and that's what they SHOULD BE"? Not SW specific ones (sorry for the confusion). I was referring to the old battle packs, from way back (before they disappeared). Anywhere from two to six figures (depending on whether boxed, or blister packed) in the Space, Castle and Town lines. No other junk in the packs, just figs and their accessories. In this case, I hope they just make up a vehicle for them. 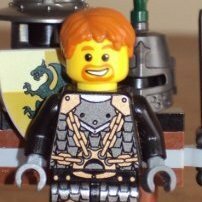 I have my concerns with lego being able to pull off the look. The whole back end's angle is very abnormal and would have to have a hefty front to keep it's back off the ground. Thank you for the images, Jammiedodger714. I would love a Clone Pilot with Utapau shadow deco. Hopefully lego changes the color of their astromech head on their V-Wing. Oh and judging by the state of the Death Star on that packaging it could very well be a TFU set. First post has been updated with rumored CAD and USD prices. No OT - no buy (but sure, these sets seem to be a must-have for fans of CW and NT). I'm looking forward for other 2011 sets. 3 man battle pack - are they joking?! I want a galactic marine! When I saw the price for the V-Wing I immediately thought it must be bigger or have more figures. I hope that the new boba fett comes in a cheaper set next year! Hey everyone if you go to Lego.com....go and check out the trailer for Lego Star wars III - Clone Wars.....pause it towards the end and you'll see a CW Padme with a new design of small blaster. Now in the Mando BP that speeder bike is a piece of cake for lego to make, in fact you can see all the components are currently available to them so no special parts to be made. If it is only a 3 pack of figures, that might explain the lower price....this year's BP's hit over 22 dollars in some shops. Knowing that kids buy these Lego might have realised that pocket money might not go as far as it did years ago. I wish Lego did what Playmobil does...make packs of 3 figures with accessories for about $5. Well, actually, they are the same price as this year's Hoth BPs. If there are 3 figs, I'm expecting better vehicles. Well they did, for a short while you could get three characters with a display and a card for a background.